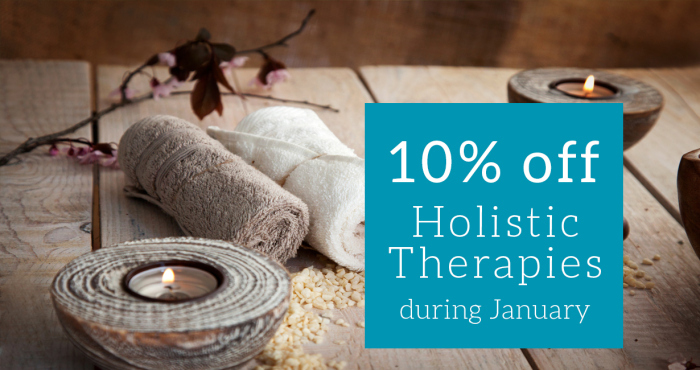 Take advantage of this special offer with 10% off all our Holistic Therapies during January. Yes, you are worth it! So why not spoil yourself and take some ‘time out’ to enjoy one of our fabulous Holistic Therapies. Don’t miss out – offer ends 31st January 2015. Click here to browse our fantastic range of Holistic Therapies. To book an appointment please phone Maria on 07977 427644.